To Write EBOOKS in 2 MINUTES! According to latest statistics on Time.com, Freelancers in the US make an average of $31 an hour, or $64,000 a year, which comes out to 17% more than the typical full-time employed worker! More people than ever are freelancing online, of all ages, around the world. 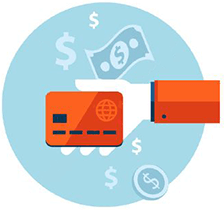 Searching for freelance work in the evenings (after work) and on weekends is tiresome, and if you’re sick of worrying where the next paycheck is coming from, then here’s how our amazing “Auto Job Finder” software can transform your freelance business practically overnight! Stop wasting your evenings and weekends trawling the web for low paying gigs. With many more being added! No more dealing with multiple screens or logging into different websites. 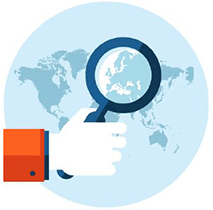 Auto Job Finder pulls all the latest jobs from ALL around the world into one simple screen, saving you hours of manual job hunting across the web! 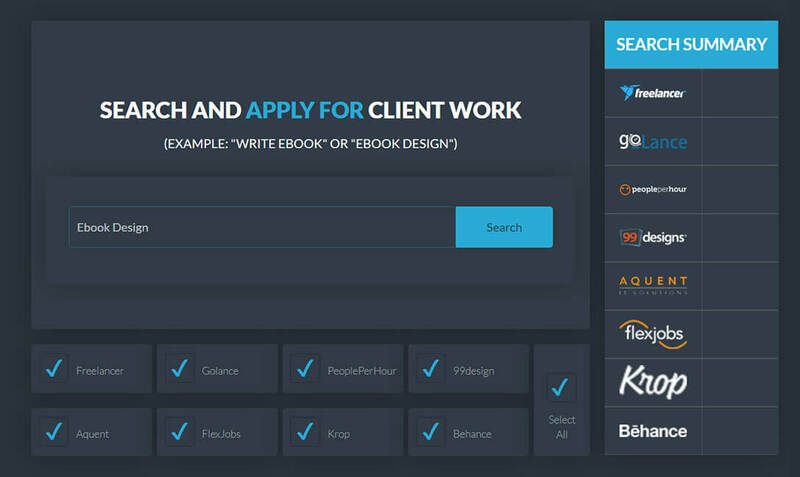 Whether you’re looking for ebook creation jobs to complete with Sqribble, writing tasks, graphic design, video editing or coding gigs, Auto Job Finder scans major freelance websites to find you fresh posted jobs in a heartbeat! Instantly uncover hundreds of “hidden” job opportunities across multiple freelance sites, while your competitors fight for scraps manually. 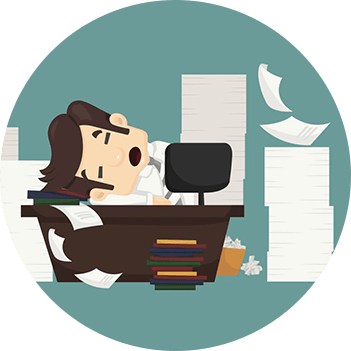 Why limit your turnover to one freelance website? The more websites you use to find jobs, the more work you’ll win! Now you can automatically pull in a daily stream of jobs with a simple click to start getting clients quicker and faster than ever before. Auto Job Finder comes with 5 ready—made application templates based on what really works when applying for jobs! 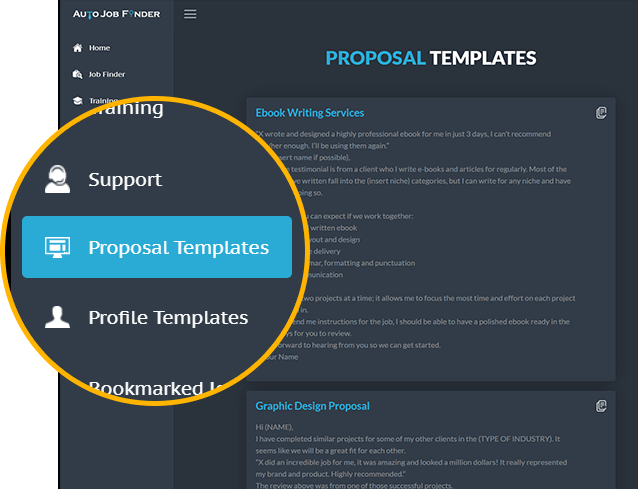 The initial contact with a prospective client makes ALL the difference, so we’ve hand crafted the application templates for you. Simply fill in the blanks to send off rock solid applications, and slash hours off your day. Remember, the more jobs you apply for, the more you win! 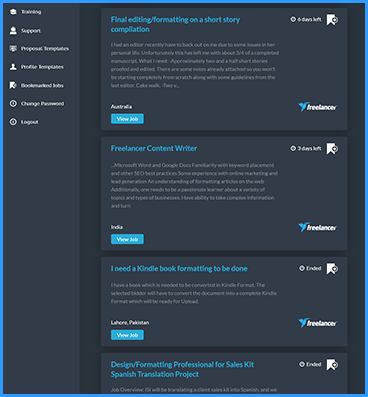 Your freelance profile is a critical part of getting hired on freelance job websites. Think of them as your online CV. But creating a profile for each site can be exhausting, and it’s hard to know what to say to create a profile clients will love. That’s why Auto Job Finder comes with 10 ready—made freelance profile templates to save you hours of work, and help you land more clients! 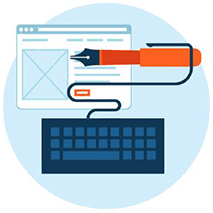 Just fill in the blanks and boom, you’ve got a red hot and magnetic client—attracting profile you can use across all freelance websites. Forget searching for jobs manually one at a time. Forget cold calling clients who don’t care. Forget trying to build a website and run a blog in your evenings. Forget running Facebook or Google ads that don’t land you any work. One week you’re rolling in work and turning down clients, the next you’re sweating over how you’ll pay the bills. 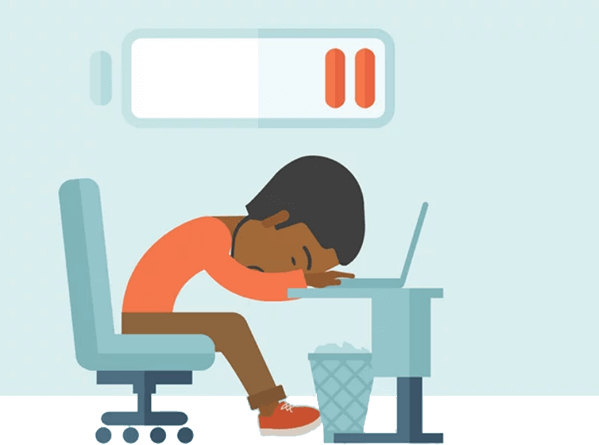 This “feast or famine” situation happens to so many freelancers and if left unchecked, it can create stress, anxiety and even threaten relationships. And for some, it can result in quitting freelancing forever and going back to a miserable 9-5 day job. Auto Job Finder brings hundreds of jobs to your lap every day, so you can fill up your calendar with work you love, month after month… and never worry where the next check is coming from! Ready To Unlock Extra Freelance Gigs? 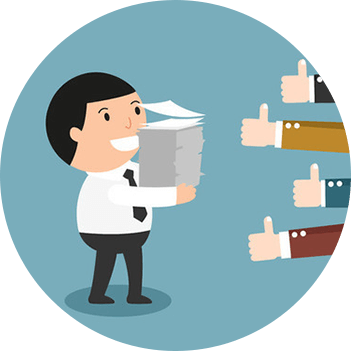 Save your time and energy for doing awesome work, while Auto Job Finder tirelessly searches for brand new jobs and clients for you instantly! Your freelance profile is a critical part of winning trust and showing clients what you can offer. 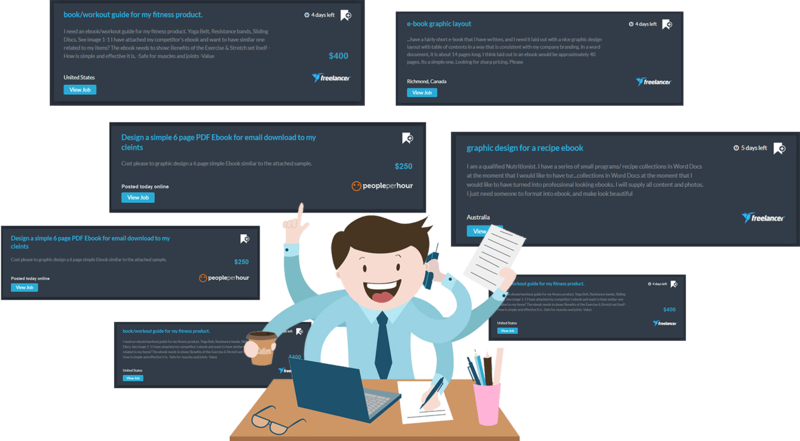 Simply choose from 10 ready—made profile templates and fill in the blanks to create a professional profile in minutes, not hours. Speed up your applications and increase your chances of winning the job with 5 ready—made job application templates. 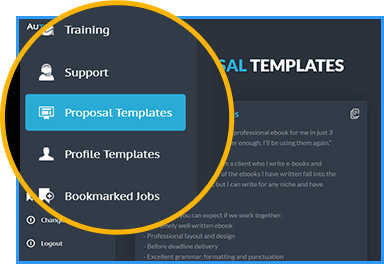 Based on our proven formula, these templates will save you time and allow you to apply for more jobs, and win them too! If you’re anything like us, you just want to be your own boss, work from anywhere, choose your hours, do great work and get paid well for it. You’re stuck searching for jobs while your friends are out for dinner, or your kids are asking to play with you. Suddenly, you find yourself staying home all weekend desperately searching for jobs, because you didn’t have time during the week. And worse, you’re fighting for jobs on the same freelance website as everybody else, and you’re struggling to find enough work to feed the family or pay your bills. Meanwhile, there’s a whole breed of freelancers who have it way easier than you… freelancers who have much less experience, and are turning down clients because they’re too busy! Freelancers who can take vacations, and when they return, know there will be a long line of clients and jobs waiting for them. They know how to find and apply for jobs fast. Jobs that most people don’t even know about! They’re not wasting their weekends building a website, networking or paying for advertising. They’re not wasting time cold calling business owners who don’t want or need their services. And then using proven high converting templates to apply for those jobs, saving themselves even more time and increasing their chances of getting accepted! Or you can be like the top earning freelancers of this world, who have smart systems for quickly and easily finding well paid jobs day after day. Thankfully, with our NEW Auto Job Finder technology, you can have that quick job finding advantage too! To a career that’s bursting with opportunities, clients and endless jobs! You wake up tomorrow morning, grab a coffee, and then log into your Auto Job Finder dashboard. You type in the job you’re looking for. … hundreds of jobs appear in front of your eyes! Jobs from tons of various freelance websites that most of your “competitors” will NEVER know about. In fact, there are so many jobs, you no longer feel panicked about rushing to apply for all of them. You know there will be plenty to go around, and plenty more tomorrow, the next day, and every day for the rest of your life! You then grab a job application template from inside your dashboard, saving you HOURS of writing one from scratch, quickly fill in your details, then hit send, and you’re done. We’re 100% certain that you’ll save hours of searching and applying for freelance jobs in ANY industry or skilled category, with Auto Job Finder. But the only way for you to be certain is to test drive it for yourself, RISK—FREE for 30 days! Click the button below to activate your account to instantly access the latest version of Auto Job Finder right now and use it for a FULL 30 days. If you don’t agree that this is the fastest route to uncover hundreds of rewarding jobs automatically, while using the templates to speed up the application process and win more jobs than ever before, then you pay nothing! In fact, your very FIRST job could cover this tool an still be ahead. It’ll be your best secret weapon to finding gigs, time and time again! BUT, this is a limited time offer. Or, cap the number of people who can use it to prevent market saturation and give our users an edge over the competition. You don’t have much time left. Click the button below to start using Auto Job Finder today for more jobs, clients and stress free days!! Automatically Find Hundreds Of Fresh Jobs Across Multiple Freelance Websites Without Lifting A Finger 24/7. What is Auto Job Finder? 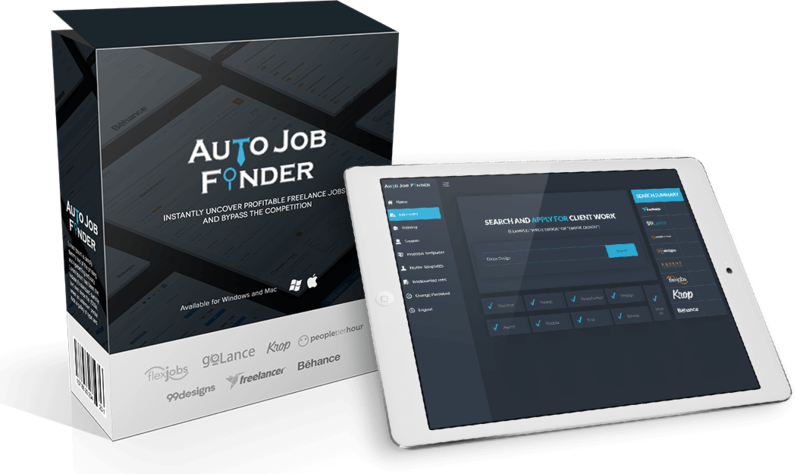 Auto Job Finder is our powerful new automated technology that allows you to instantly search for hundreds of fresh client jobs from multiple different freelance websites at a click of a button, saving you hours of manual time! The faster you find jobs, and the faster you apply to them. That’s why Auto Job Finder will give you an advantage over everyone else. 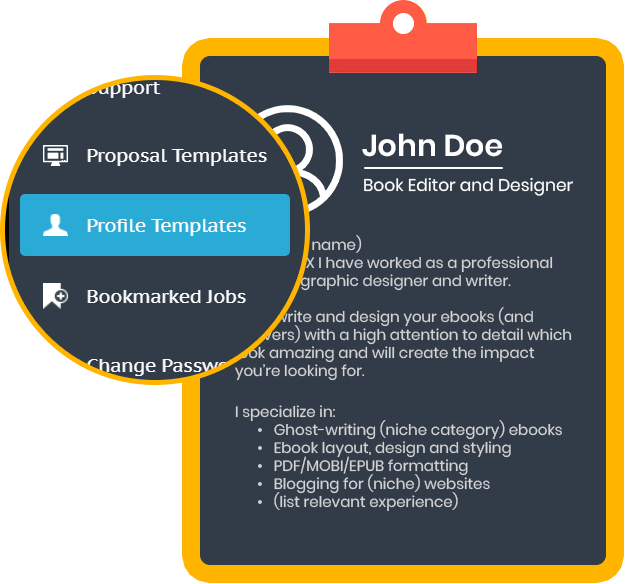 It also comes with templates you can use to create your freelance profiles, as well as job templates to apply for jobs you’re interested in. 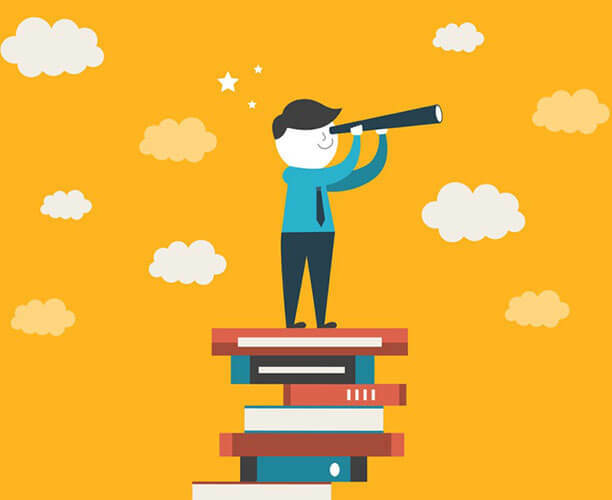 You can search for any type of work that you feel confident you can complete. 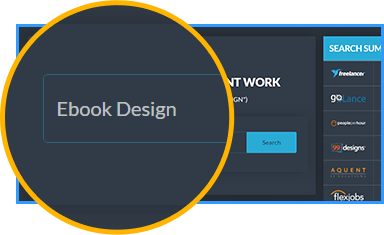 In fact, you can use your new Sqribble purchase to find ebook creation, writing and design work immediately, and turn your services into an extra side hustle! Search for any type of work, like video creation, writing, blogging, customer support, social media management, it’s up to you. How Much Is Auto Job Finder? Auto Job Finder normally costs $444 per year but during the launch you can get full access for just a one time price of $197! There are NO recurring fees if you secure your copy right now! Yes. 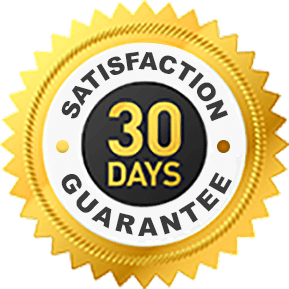 You get a full 30 days to try Auto Job finder out. Use it fully and unrestricted to find and complete as many jobs as you want. If you’re not happy, simply email us for a full refund. We know you’ll love it as much as we do! No thank you. I don’t want to save time and prefer to find jobs manually, even if I have to spend hours every day doing so. I’m not interested in your automated solution to find well-paying jobs at a click of a button. I understand I may not get this chance again.